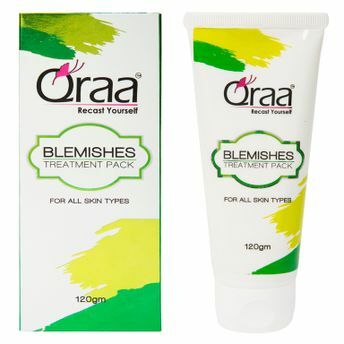 Qraa Anti Blemishes Pack is a soothing cream specially designed to ease out the pigmentation of your skin. This cream helps in restoring natural fairness and evens the skin tone. It minimizes blemishes and helps reinstate natural tone. It eliminates clogged pores which reduces the appearance of fine lines and wrinkles for a healthier, softer skin.